Witness stated that many people witnessed Soldier Field Glowing Green a few nights ago. Soldier Field is an American football stadium on the Near South Side of Chicago, Illinois. Besides the strange glowing green above Soldier Field, he also caught a mysterious white Orb vanishing above the Stadium. It was reported that a bright green burning object was seen in the sky flying over Buenos Aires, Argentina. Then the object was seen over Porto Alegre, Brazil on July 30, 2015. It is not clear whether the object was a meteorite or a UFO. 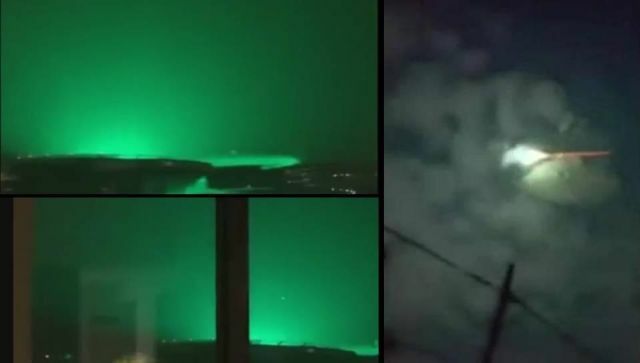 The next two videos show Soldier Field glowing green and a green burning object flying over Buenos Aires, Argentina.